"Mottainai" (pronounced mot/tai/nai or like the English words mote-tie-nigh) means "Don't waste", or "Every little thing has a soul". In the game Mottainai, a successor in the Glory to Rome line, you use your cards for many purposes. Each player is a monk in a temple who performs tasks, collects materials, and sells or completes works for visitors. Every card can be each of these three things. 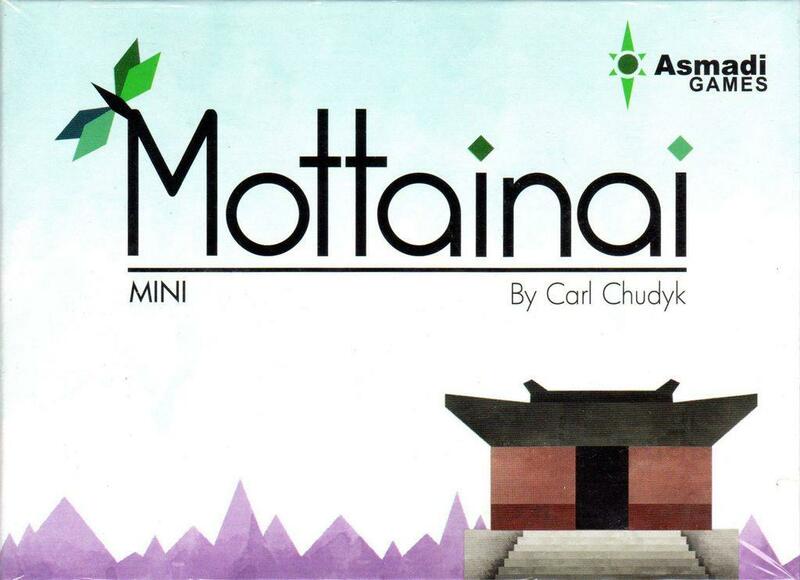 Mottainai is a quick, but deep, game experience.